Hanger deck. 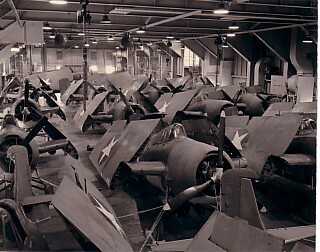 Grumman F4F Wildcats, circa 1942-1943. 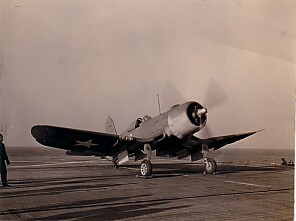 First ordered by the US Navy in 1939, and despite being inferior to the Japanese Zero, the Wildcat proved invaluable in the early stages of the war in the Pacific, and remained in first-line service throughout the war. Grumman F6F Hellcat night landing (making a pass). One of the most famous and decisive fighters of World War 2, the Hellcat was the only US aircraft designed after Pearl Harbor to be built in very large numbers. 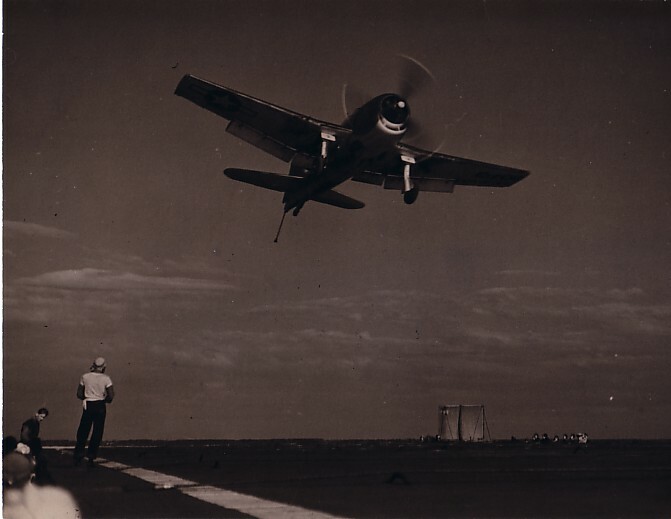 Chance-Vought F4U Corsair aboard Charger, April 1943. 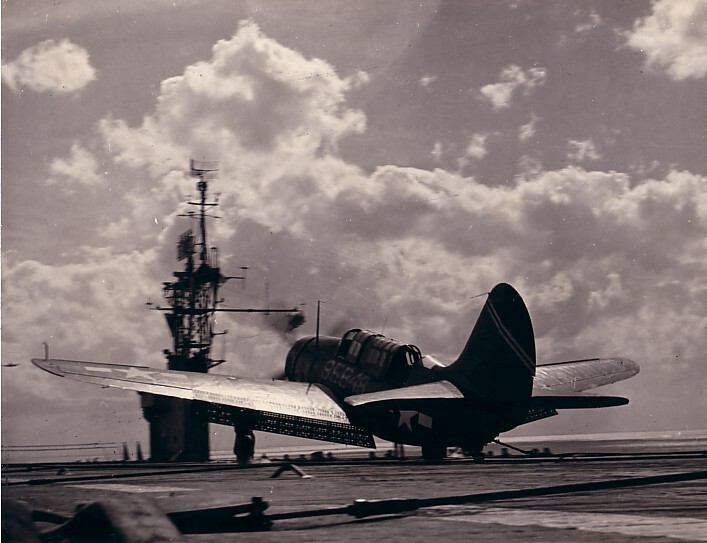 Curtiss SB2C Helldiver aboard Charger, 1945. 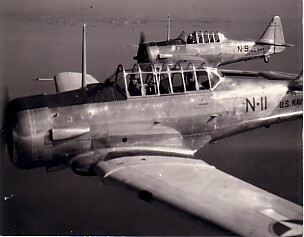 Howard Vallentyne and Ed Walger taking aerials in SNJs, circa 1942-1943. SNJs over Port Charles. 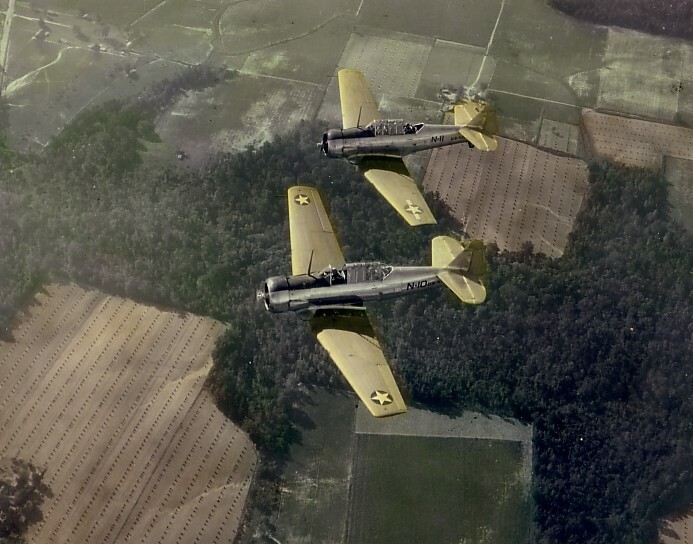 Built for the US services and for export to many countries under a wide range of designations, these aircraft were used as basic and combat trainers, general-purpose aircraft and bombers. LT. Whitney (front seat) and PH2 Ed Walger (rear seat) in SON aboard USS Charger, 1943. 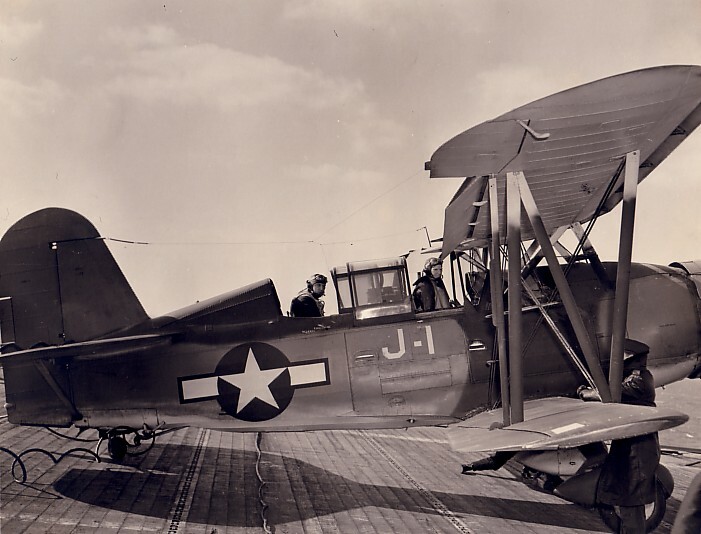 (SON-1 was a variant of the Curtiss SOC-3 Seagull, produced by the Naval Aircraft Factory). 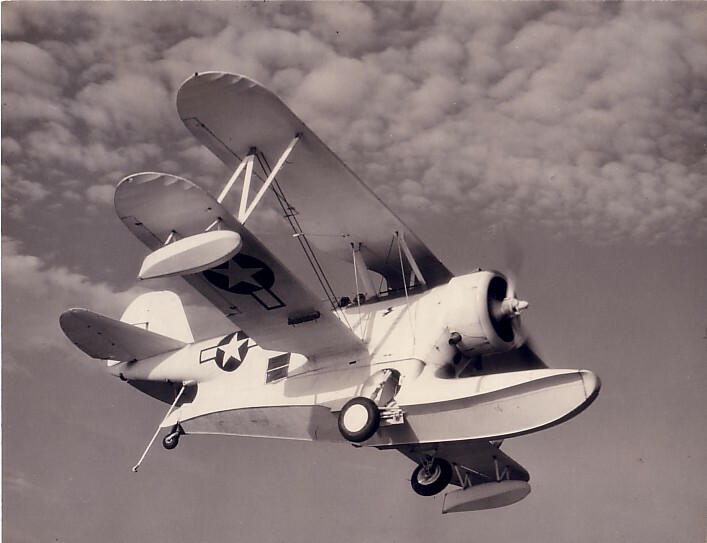 Grumman J2F Duck, October 1944. This was a general utility amphibian for photographic, target-towing, scouting and rescue work.